The sport of badminton was first introduced to a few Port Moresby schools and communities in 2016. It is currently popular among the Asian community and nationals are only beginning to embrace this new sport. With the Badminton World Federation’s Shuttle Time program, it is now gaining a lot of interest and popularity. 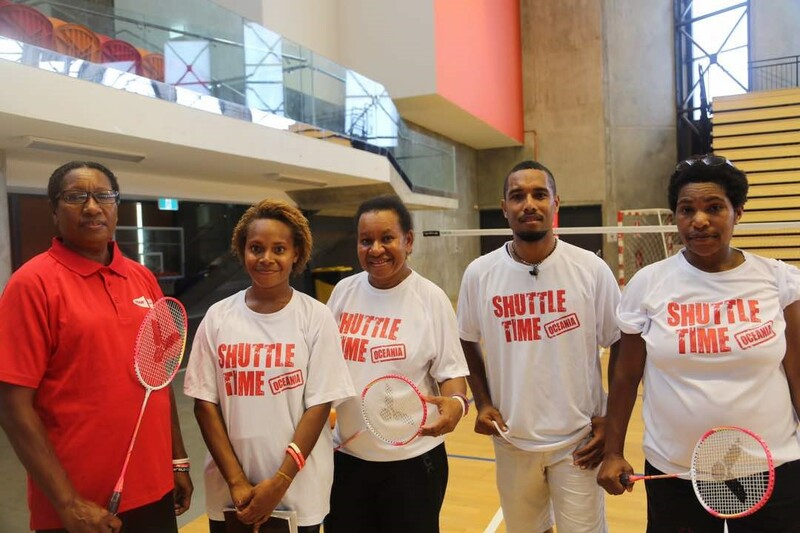 A recent Shuttle Time teacher training course in Port Moresby saw 24 participants who underwent the three days training being certified to coach badminton in their schools and communities, making PNG the 121st country to implement the Shuttle Time Schools Programme. 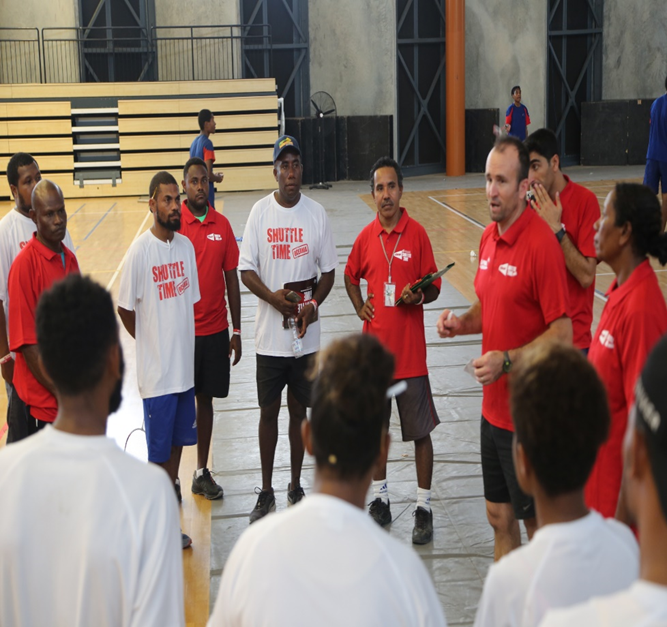 The coaching clinic was facilitated through the Papua New Guinea Badminton Federation with assistance from Badminton Oceania. 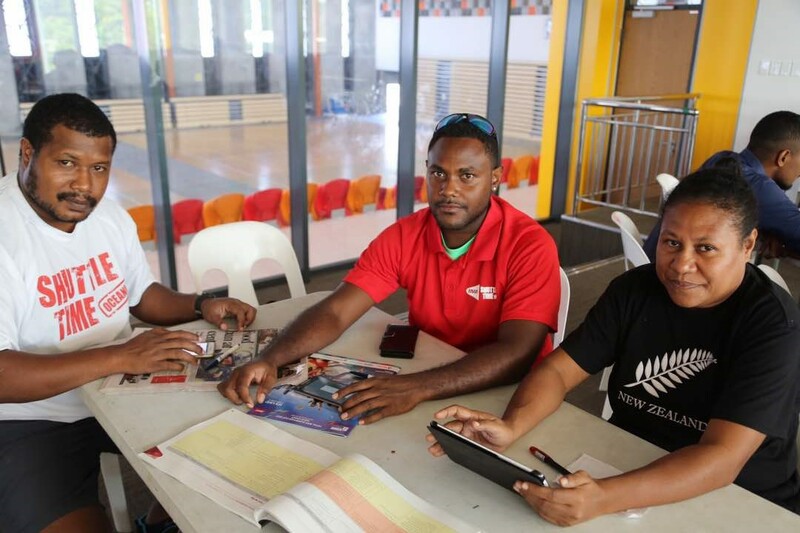 Both Chris McIvor, a Community Coach Developer and Ben Yu a player/coach from New Zealand were engaged by Badminton Oceania Confederation to assist Badminton PNG through a partnership with PNG Sports Foundation through the Pikinini Sports program and the Special Olympics of PNG (SOPNG). “The idea is to train you not just as people but better coaches,” McIvor told the 24 participants. Badminton is said to be the fastest racquet sport in the world which can easily be played by anyone or and is very inclusive. The Shuttle Time learning resources are accessible to anyone who is interested in learning this sport. The beginners guide has approximately 22 lessons, with countless number of videos on the internet. Even, the Shuttle Time application on Google play store has all the information available for everyone. A quick chat with an outspoken Mr Ikupu of Badihagwa Technical Secondary School found that he finds great interest in the sport. “When I heard about this training, I told myself that I would learn as much as I could,” he said. “Chris and Ben were wonderful. Everything they did was properly coordinated and the use of more visuals during their presentations really helped us,” he added. “Out of the 22 lessons in the shuttle time handbook, lesson 18 ‘smash/block defence’ is my favourite because I believe that is the pinnacle of the game,” he chuckles. Mr Ikupu now aims to deliver his coaching skills to his school and is confident that they can be able to play the sport competitively. The first 12 members that showed up on day one developed skills and basic knowledge of the sport and were recognized as tutors. The tutors then exhibited what they learnt to the second group of participants who were listed as teachers without the help of neither Chris nor Ben. Together they combined their knowledge, skills and techniques and coached local school children who were invited to be part of the program.